Fulfillment by Amazon (FBA) is a service in which a business can sell products via Amazon’s online store, but online and outsource all the unglamorous and laborious tasks involved in the fulfillment process to Amazon. Of course, this is done in return for fees, and there are some very specific requirements to qualify for FBA. It’s not right for every company, but since Amazon is the becoming the premier place for online shippers, it’s an important consideration to make when selling online. Amazon recently changed their fee structure for FBA (at the end of February 2019). Currently, to determine how much FBA costs, you must consider two sets of expenditures: fulfillment fees and monthly storage costs, which are ultimately contingent on the size of the item(s) and the time of year you plan to sell. Fulfillment fees cover picking and packing, shipping and handling, customer service, and product returns. Fulfillment fees are charged per unit, but there are specific stipulations to calculate the price, it is based on the size classification of your product. There is also a slight increase in price per unit between the January – September and October – December – timeframes to account for the spike in Q3 orders. You can find more details on Amazon’s FBA pricing page. Also on that page, you can find the specifics for the monthly storage fee. It is calculated by cubic feet and largely determined by time of the year. To get a clearer picture of how much FBA would cost for a specific product, there is a Fulfillment by Amazon Revenue Calculator. 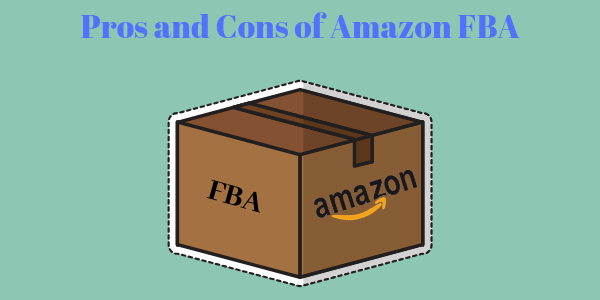 There are many factors that you must take into account when evaluating whether or not FBA is beneficial to your business, but we’ve compiled a list of pros and cons based on our experience and the customers with whom we have worked. As you can imagine, having the world’s largest retailer handle fulfillment for your products comes with major advantages. What exactly are they? Many of FBA users cite this perk as the most beneficial. By using FBA, your products automatically become Prime eligible for free two-day shipping. Prime single-handedly eliminates the primary reason for shopping cart abandonment: shipping and handling costs. Put yourself in the shoes of your customers, if there are two nearly identical products online and one of the two are eligible for Prime, which would you choose? And to top it off, the seller will be charged the same shipping rate regardless of whether or not the customer chose to ship via Prime. Amazon’s customer service is revered for its speed and accuracy, and by using FBA you have access to their 24/7 service. As retailers also know, the return management process can be difficult to manage so Amazon will take care of this for you as well. Know, however, there is a returns processing fee that varies based on product size and type. Why would you think twice about choosing Fulfillment by Amazon, and what are some problems that you might run into with FBA that you wouldn’t with another fulfillment service? In order to get your product stocked, listed, and sold on Amazon, you must first have your product arrive at their fulfillment center(s). This is a process called “receiving.” Amazon’s receiving standards are astonishingly strict. They lack flexibility, in that they require your products to be ready for fulfillment upon arrival at their fulfillment centers. There can be no non-standard shipping methods. If you fail to adhere to these rules, you run the risk of being charged for noncompliance. Perhaps even more damaging, they could refuse delivery of your product. If you do decide to be listed on Amazon, your sales will likely increase. However, with every purchase, your customer is establishing loyalty to Amazon instead of your company. Some buyers may not even know your company after they use your product. If you decide to sell on Amazon, you could be losing brand loyalty. Also, it may be challenging to distinguish your product from other similar products Amazon has listed. As the seller, you only have jurisdiction over the product photos and description. You may have customers that love your products and brand from selling through Amazon, but since you are not in direct contact with you customers, you won’t have any of their information—for example if they opt-in to an email subscription or follow you on social media channels. This can limit the marketing, news, and promotions you can get to your already existing customers and you may miss out on opportunities to promote new products to them. This can lead to long-term sustainability issues. Sales tax is a reality for all sellers, and selling through FBA is no different. But to comply with the sales tax rules under FBA is a bit more complex because your products will be housed in Amazon fulfillment centers, which may vary depending on your customer base at any given time. The issue arises in that different states have different tax laws, leaving sellers unsure of where to register for sales tax compliance. This results in potential liability issues for the third-party retailers. 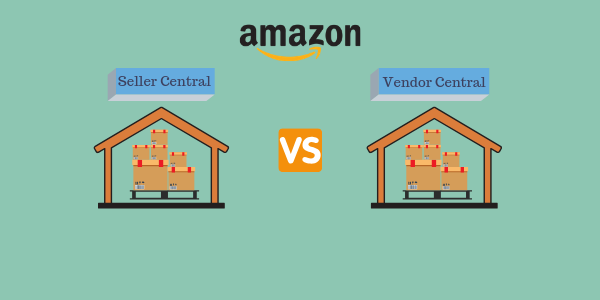 Since Amazon’s fulfillment centers are structured to ship at a high-volume, units that are stagnant for longer than 6 months are subject to a semi-annual long-term storage fee. Amazon hosts a complete explanation of FBA’s long-term storage, and many frequently asked questions here. Now that you are armed with the knowledge and understanding of what FBA is, you can decide for yourself if that is the best option for your ecommerce business. If you are interested in FBA prep, or you are looking for a fulfillment center to handle your online order, we’d love to chat! Send us a note to connect about how we can help your company grow. You can read DCL’s list of services to learn more, or check out the many companies we work with to ensure great logistics support.